A few weeks ago I wrote that we are doing the bottom renovation (new epoxy primer+antifouling) during this winter. Unfortunately, we found out that soda blasting is not allowed in Raisio, where S/Y Dolphin Dance is laid-up for winter. Thus, this job has to be postponed until next autumn. 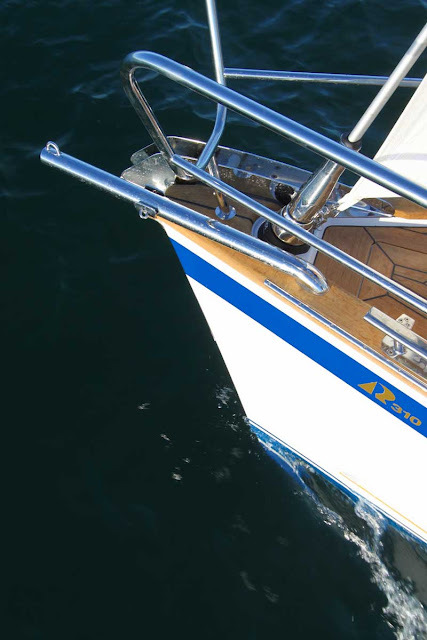 There is no way we would have enough time to scrape the antifouling and the primer layers during this autumn. Nevertheless, the hull should be well dried before adding the new layer of epoxy barrier coat, so the scraping of the bottom cannot be left until spring. 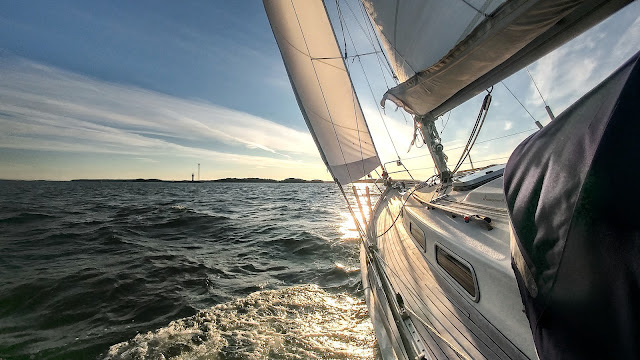 Thus, the current plan is to sand blast the underwater hull next autumn, put the boat in a warm hall for the winter and paint new epoxy barrier coat the following spring. We have had very warm autumn and temperatures are well above zero. However, the boat is now fully prepared for winter. 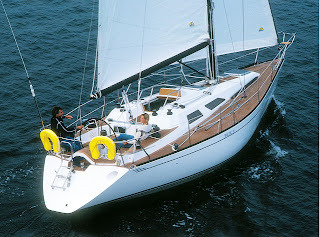 Now that things are getting easier with the boat maintenance, it is good time to plan some gear updates. As mentioned earlier, we need to replace the fridge compressor so we are now comparing different models. 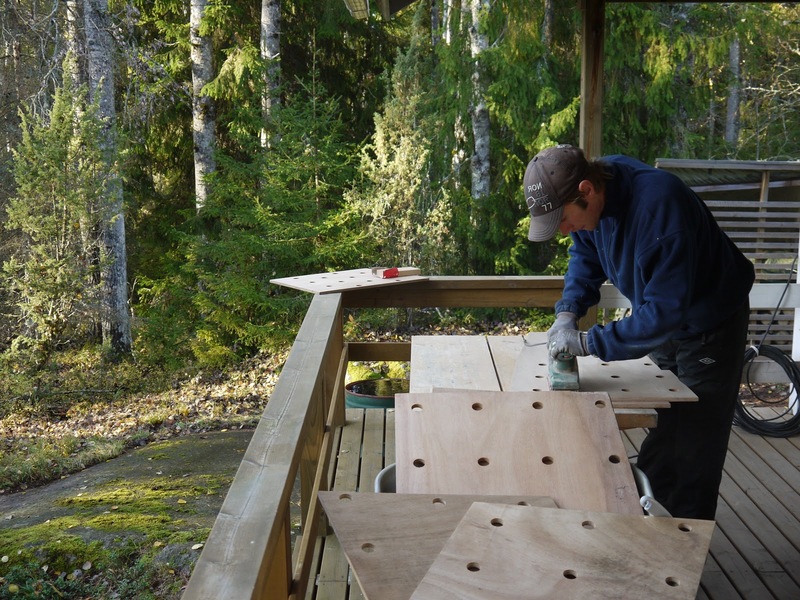 Sanding the mattress boards and floorboards in Kustavi. They will get a new lacquer coating during the winter. 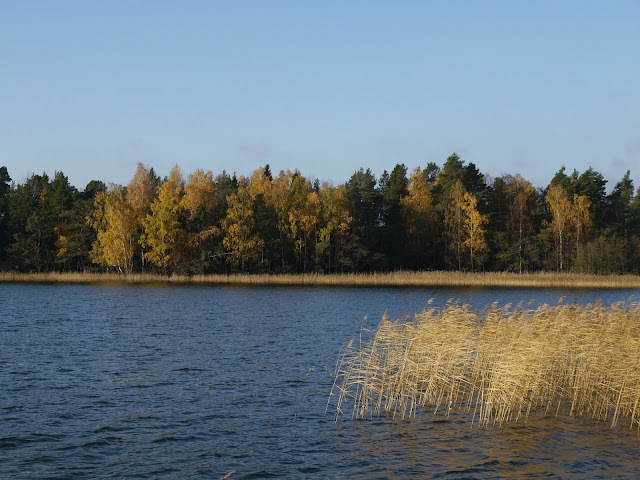 Beautiful autumn leaf colour in Kustavi a few weeks ago.